This tour is the most popular choice of our guests visiting Kotor with cruise ships and have only a couple of hours to explore. Some of the cruise ships stay only for a short time so this tour is accordingly adapted. This is a well-organized shore tour and as such can be booked only as private. Price of the tour is actually for a maximum of four passengers and is the same for one, two or three passengers. Except our guests visiting Kotor with cruise ships this tour can be booked by guests staying in Budva. As this is a private tour the departure time can be adapted to your liking but not later than 14:00 from Kotor. Please consider all the information when booking this tour. Kotor old town is on the list of World Heritage ( UNESCO) surrounded by its amazing city walls. We will explore the old town: Square of Arms, St.Tryphon Cathedral, Square of the Museum, St. Nicolas Church, and we will introduce to you the most important palaces in the Old Town of Kotor. You will be able to learn more about the history of this unique town, and then you will be able to take the steps to the top of fortress St. Giovanni. After that we will go to Perast, which is only 10 km away from Kotor. 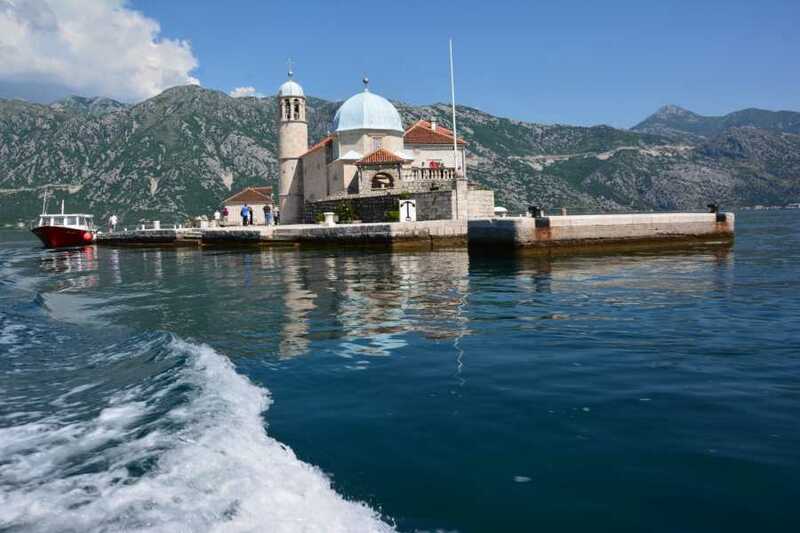 We will see the old town of Perast and then we will take a boat to Our Lady of the Roks. Boat ride takes 5 minutes. You will get the guided tour in the church. NOTE: Entrance fee for Our Lady of the Rocks with the boat ride of 5 euros is not included in the price. Entrance fee for the city walls in Kotor of 8 euros is not included in the price. The price for the tour includes licensed tour guide in English language. Tour is organized with an air-conditioned car.